We are now living in a world where persecution of Believers is very common. Everyday, somewhere around the world Believers are being killed and persecuted. Everyday the blood of these martyrs are calling out to God ……. These days have become very difficult for those who believe in Christ. So, I call out to all Catholics to pray to St Michael the Archangel to defend us in the day of battle against the devil or the evil one. The Book of Revelation (12:7-9) describes a war in heaven in which Michael, being stronger, defeats Satan. After the conflict, Satan is thrown to earth along with the fallen angels, where he (“that ancient serpent called the devil”) still tries to “lead the whole world astray”. In the Epistle of Jude 1:9, Michael is referred to as an “archangel” when he again confronts Satan. A reference to an “archangel” also appears in the First Epistle to the Thessalonians 4:16. This archangel who heralds the second coming of Christ is not named, but is often associated with Michael (among others). Who prowl through the world seeking the ruin of souls. Amen. (The St Michael’s prayer is a very powerful prayer and I think adults should say this prayer on a regular basis). It is very easy for us to lose our inner peace. Inner peace is priceless, so let realise this and be happy. It is also important for us to love ourselves, our neighbour and most of all, Love God. Many of us at one time or another, think that God is not helping us enough but my dear brothers and sisters in Christ Jesus, let us allow God to be God and let him be in control of our lives. God is awesome and he is the best person who knows what is best for us and for our souls. GIVE SOMEONE A SMILE TO BRIGHTEN THEIR LIFE AND YOURS AS WELL! All these days, I was talking to happy people – to people who have plenty of everything. Now I am talking to the people who consider themselves less fortunate, I do have a WORD OF ADVICE for you. You might think that you do not have something to share but give away free from what you do have. Give to those who pass you by – give to them a SMILE which is FREE OF COST. If you are homeless but you know that you are healthy. All you need is a shower everyday and food. If you are happy with this, then go around and spread happiness – Give people a SMILE. There are so many wealthy people who are not happy one way or another. So let those of us who have less, give to others the little that we have. I felt inspired to post this. 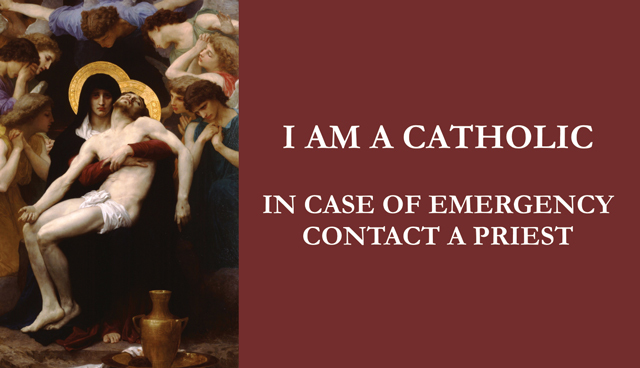 I suggest that we always carry maybe a card or this information written on a card, just in case we do meet with an accident….. Also it is important that when a Catholic is admitted into hospital that they intimate the hospital Chaplain that you are a Catholic, so that he could come and visit you and pray for you and give you Holy Communion which will definitely help and strengthen you. Let us also pray for our priests every day and also pray for Vocations to the Priesthood. The following post on Lent was posted on March 20, 2018. This year Lent begins on Wednesday, 06 March, 2019. Many parishes in Melbourne, Australia and the whole world would be having various Lenten programs. Lent is a time to be inward looking. It is a time for our conversion – a time for us to draw closer to Jesus Christ and to become more aware of our inquities. A time to be able to burn the old self and put on Christ Jesus. A time to pray and ask God to give us the strength to walk away from temptations and to walk into GRACE. A period of renewal. A time to contemplate on God’s Love for us and to meditate on how we can respond to God’s Love and Sacrifice. To put in a nutshell, to BECOME ANOTHER CHRIST, so that we can then reach out to others and help them come closer to Christ and to evenutally become Christlike. So, my dear brothers and sisters in Christ, it is vital for us to make ourselves available for the Lenten Programs being conducted in our parishes and be open to the workings of the Holy Spirit. Given below are some tips to lose weight. Now, take me for instance, I want to lose weight but I do not think that I could follow all these tips. 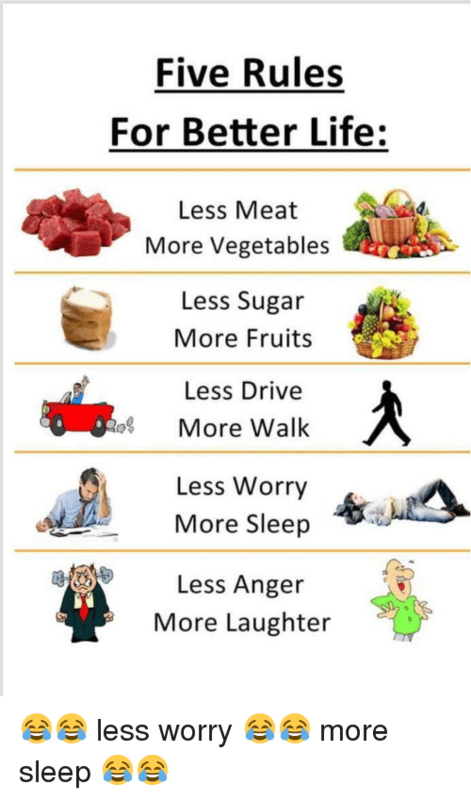 So, I suggest that if we made some effort to follow atleast 10 tips from this list, I would say that there is a possibility that we could lose some weight. I think I would be able to follow a few. (1) Drink 5 Cups of Water A Day. (2) East More Greens (3) Cook with Fat Free Broth (4) Eat Whole Grains (5) Use Skim Milk (6) Take Your Time Eating – I have read in many places that if you took atleast 20 minutes to have a meal, meaning, eat really s;lowly because after 20 minutes, you will feel full and by that time you would have eaten less. (7) Use smaller plates – If we use small plates. we would put less on our plates and hence eat less. Be sure not to refill your small plate. Only one serve. (8) Exercise – It is very important to every day a little bit of exercise. For those who can walk and who like walking, walk for about 30 minutes a day. For those who do not like walking, try to do some sort of exercise for about 5 to 10 minutes daily. Do not sit for hours watching TV or at a desk. Always after 30 minutes of sitting, get up and walk for about 2 minutes to help blood to circulate. 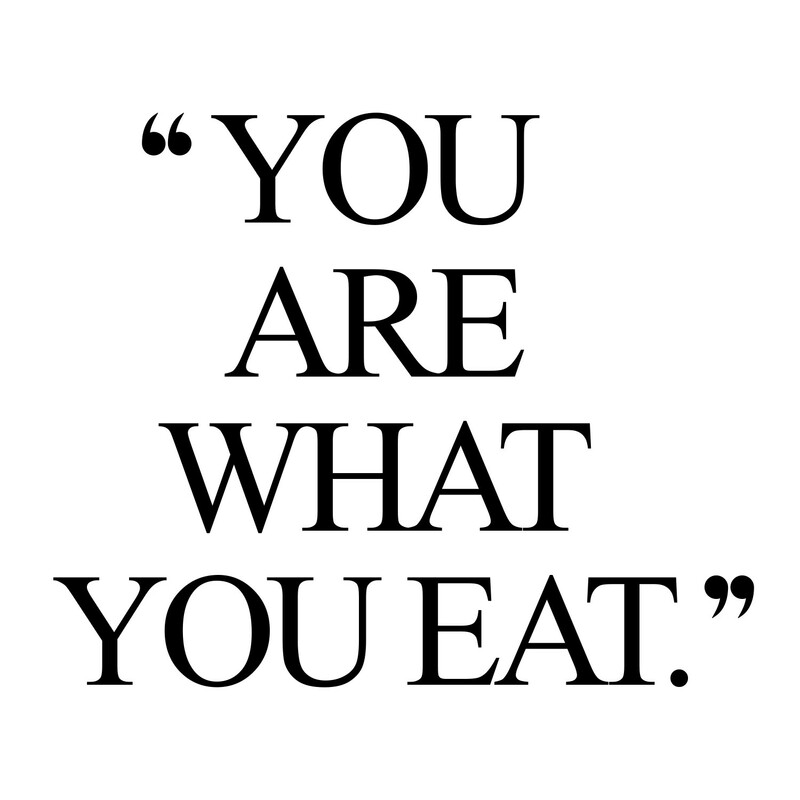 (9) Eat More Seafood and less of Meats. (10) Eat More Fiibre. (11) Eat more Vegetarian Meals – If you are not able to eat vegetarian Meals, try to include vegetables in your diet. (12) Eat Healthy Snacks – It is very important to eat healthy snacks because if we eat fatty snacks, we would fail to lose weight. (13) Try to avoid alcohol. I hope we all lose some weight. LET US MEDITATE – WHAT IS GOD TELLING US? 15 Through him, let us offer God an unending sacrifice of praise, the fruit of the lips of those who acknowledge his name. 16 Keep doing good works and sharing your resources, for these are the kinds of sacrifice that please God. 17 Obey your leaders and give way to them; they watch over your souls because they must give an account of them; make this a joy for them to do, and not a grief — you yourselves would be the losers. 20 I pray that the God of peace, who brought back from the dead our Lord Jesus, the great Shepherd of the sheep, by the blood that sealed an eternal covenant, 21 may prepare you to do his will in every kind of good action; effecting in us all whatever is acceptable to himself through Jesus Christ, to whom be glory for ever and ever. Amen. This advice I give to myself and to others – WISE WORDS! 1 The psalm of David before he was anointed. 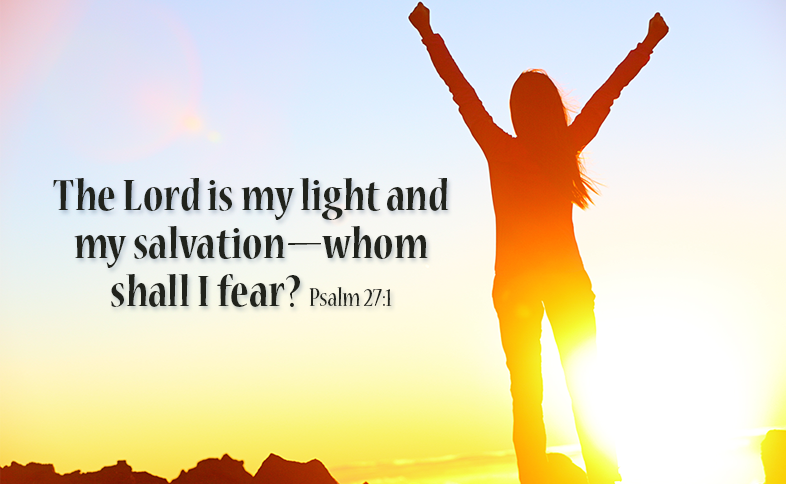 The Lord is my light and my salvation, whom shall I fear? The Lord is the protector of my life: of whom shall I be afraid? 3 If armies in camp should stand together against me, my heart shall not fear. If a battle should rise up against me, in this will I be confident. 5 For he hath hidden me in his tabernacle; in the day of evils, he hath protected me in the secret place of his tabernacle. 8 My heart hath said to thee: My face hath sought thee: thy face, O Lord, will I still seek. 9 Turn not away thy face from me; decline not in thy wrath from thy servant. Be thou my helper, forsake me not; do not thou despise me, O God my Saviour. I consider this psalm to be so full of faith and so very deep. David sees God as his light and salvation and he is not afraid. He also sees God as the protector of his life. David is not afraid because he believes that God has hidden him in his tabernacle. Every single verse has such depth and meaning of blinded faith in God. Well, my dear brothers and sisters in Christ Jesus, if we also have the faith of David, God will also be our protector. He will hide us in His tabernacle where no evil can touch or harm us. In the days where we experience darkness and trouble, God will be our Light. He would send his angles to protect us from all terrible danger and evil attacks. It is important to seek God’s face and to be in His Presence 24 x 7. To keep our gaze on Christ all the time, would save us from all peril and harm. When we seek God’s face all the time, God will be so close to us and He will be our Saviour. When God is our Saviour, for sure, we will have nothing to fear. My experience is that God;s love for us is so great that He sent His only Son to save us. So, when we seek Christ with a sincere heart, Christ will come and dwell within us. He will bring His Father to dwell in us and we will dwell in Him. So, we will be safe and secure and no harm, evil or sin can ever touch us. We when we seek God and when we are in His presence, how can any evil come near God or near His Tent. Harm, evil and sin can come near us only when we walk away from God’s presence. But if we stay in God’s Presence and in His Light, we will be safe from harm, evil and sin. Light, happiness, joy, security and God’s protections will be OURS.